Natural wonders, iconic wildlife and island attractions are all within easy reach at this family-friendly destination, just two hours’ drive from Melbourne. Take the difficulty out of choosing between an urban adventure in Melbourne's laneways, the wines and beaches of the Mornington Peninsula, the Phillip Island Penguin Parade, and Yarra Valley's vineyards and wildlife – and do the lot. 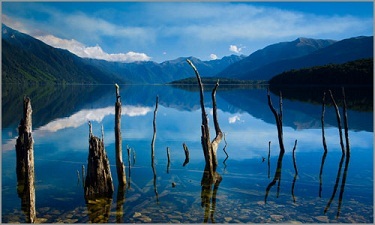 Astonishingly, you can have it all on a Self Drive Australia tour from Melbourne. These distinct attractions are all just an hour from Melbourne and each other. In four days and with a series of short drives you can tick all your sightseeing boxes. Take in rolling hills laced with vines and dense forests of towering mountain ash and fern trees. Encounter quirky Australian animals, dive into warm coastal waters and taste wines so good you'll be renegotiating your baggage allowance. It's time to hit the road for the Yarra Valley, an easy drive less than an hour east of the city, where life's great pleasures of food, wine and nature are justly revered. Rolling hills laced with grape vines whet the appetite for vineyard visiting and wine tasting. Head to Healesville Sanctuary, stopping at farm gates to buy local produce for a picnic in the sanctuary's Aussie bush setting. Before you know it you'll be staring into the snarling jaws of a Tasmanian Devil, or peering at a joey in its mother's pouch. The Yarra Valley kick-started Victoria's wine industry in 1838, and today there are over 70 wineries. Celebrated names like De Bortoli and Domaine Chandon also feature cellar door restaurants with breathtaking views, where talented chefs showcase the region's bountiful local produce to match the vineyard's lauded wines. You'll be on the road early for the drive to Phillip Island, about an hour-and-a-half by car from the Yarra Valley, or longer if you weave your way through the lush Dandenong Ranges. Take a ride back in time aboard Puffing Billy, Australia's much-loved historic steam train, to and from Gembrook. Get back on the road for your chance to meet all creatures great and small on Phillip Island, a wildlife wonderland with quiet sandy beaches and swathes of Australian bushland. 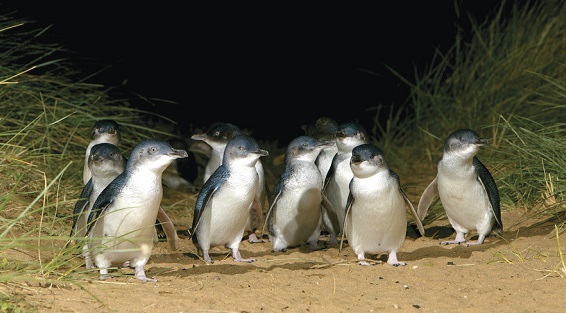 Phillip Island is home to over 26,000 little penguins that swim up to 100 kilometres out to sea each day. The sight of the little creatures emerging from the water and waddling to their burrows as the sun sets is a great Victorian experience. The Penguin Parade Visitor Centre gives greater insight into these island icons. Firstly, farewell Phillip Island's koalas face-to-face from the treetop boardwalk at the Koala Conservation Sanctuary and journey out to tiny Churchill Island for a taste of local history and local delicacies from the thriving farmers' market. Lunch is a serious decision on the peninsula. Winery restaurants tucked among the vines serve homegrown wines matched with mouth-watering creations made from local harvests. Settle in for a long lunch at Montalto, Port Phillip Estate, T'Gallant or Ten Minutes by Tractor for gastronomic enlightenment. Await sunset on the beaches of Dromana, Rosebud or Rye, then set off for a lantern-lit tour of Moonlit Sanctuary Wildlife Conservation Park. See owls, endangered gliders, quolls, bettongs and even wallabies frolic in the night. Ask about the Mornington Peninsula Attractions Pass for discounted entry into Moonlit Sanctuary and a host of other peninsula sights. Enjoy a relaxed start to your second day in the Mornington Peninsula by lolling in the naturally heated mineral waters of Peninsula Hot Springs. The energising waters at Australia's first geothermal resort bubble up from 637 metres below the peninsula. Use your Mornington Peninsula Attractions Pass for discounted entry. Sorrento is the departure point for dolphin and seal swimming expeditions. Imagine snorkelling in the blue waters of Port Phillip Bay alongside friendly fur seals and diving into the domain of bottlenose dolphins. It's worth saving the best for last. With a camera full of once-in-a-lifetime water, wine and wildlife photos, it's time for the hour-long drive back to Melbourne. There's bound to be a coffee waiting for you at your favourite local cafe and a laneway you're yet to discover.